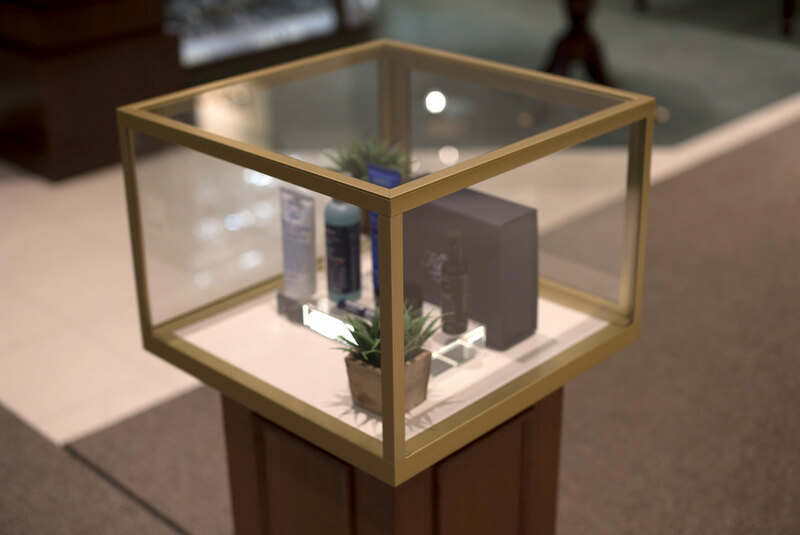 This luxurious vitrine draws a shopper’s eyes to highlight the store’s featured promotional gift set. 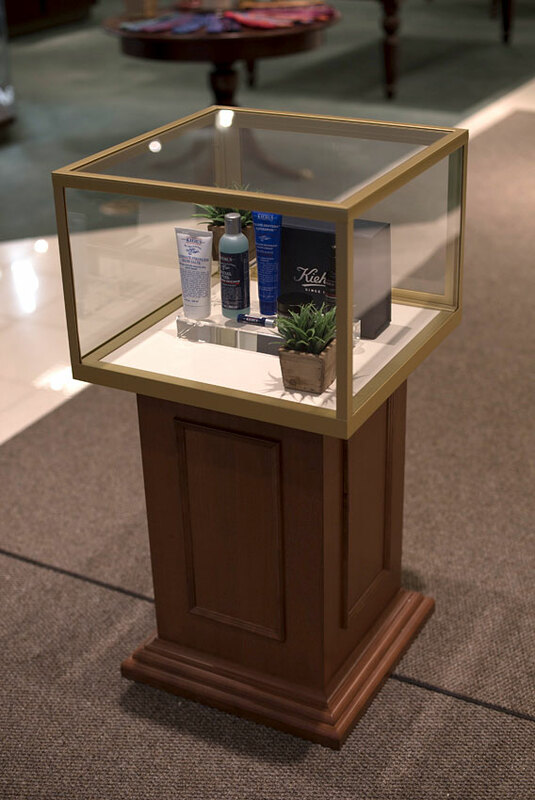 The glass and aluminum box sits atop a custom crafted wood base with a locking door. While this example does not feature lighting, custom LEDs can be added to a vitrene to spotlight featured products.